There are many trends that we notice over the course of the year. We all remember the “whip and the “Nae Nae” of which we are all tired of watching. The infamous “Dab”! Soon followed by bottle flipping and fidget spinners. There is also the pull of summer sports where some students take a break from Martial Arts before returning after the summer. The next trend comes with “back to school” season. This season can test even the stoutest of parent and student alike. During this time our ninjas will be stretched intellectually, emotionally, and socially. Because of this, some students become overwhelmed with their new workload or struggle to get back into the swing of things and may even take a break from martial arts. Commonly overlooked are the benefits of actually sticking with martial arts through this transition. Luckily, our ninjas have a secret weapon to help them better cope with these struggles. Our focus is teaching with the brain in mind! All of our classes focus on generating what we call D.O.S.E. : Dopamine, Oxytocin, Serotonin, and Endorphins via our age specific martial arts classes, not simply teaching kick, punches, and character. This is going to play a major role in keeping our ninjas balanced through this tough transition. One of the things we hear during “back to school” season is how difficult it can be to adapt to the new workload, and often how many students struggle to develop the motivation to keep up. 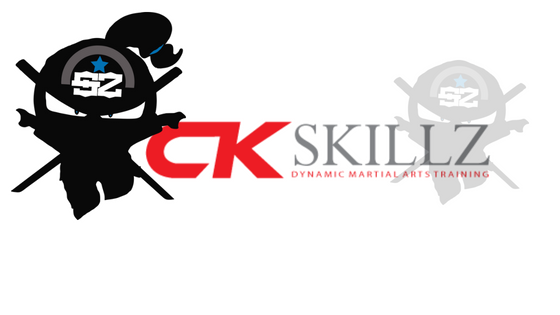 One of the ways sticking with martial arts will help is by triggering the release of Dopamine each and every class. Dopamine is a neurotransmitter that helps regulate emotional responses and enables us to both see and take action to achieve rewards. Each class will set a small goal and upon achieving this goal will trigger the release of dopamine and increase their desire to keep achieving their goals. This goal setting trend will easily roll into their study habits. Oxytocin is another key neurotransmitter that is triggered in our classes by creating positive social interactions. It is no surprise that fitting in, social anxiety, and bullying are real things that kids these days experience. 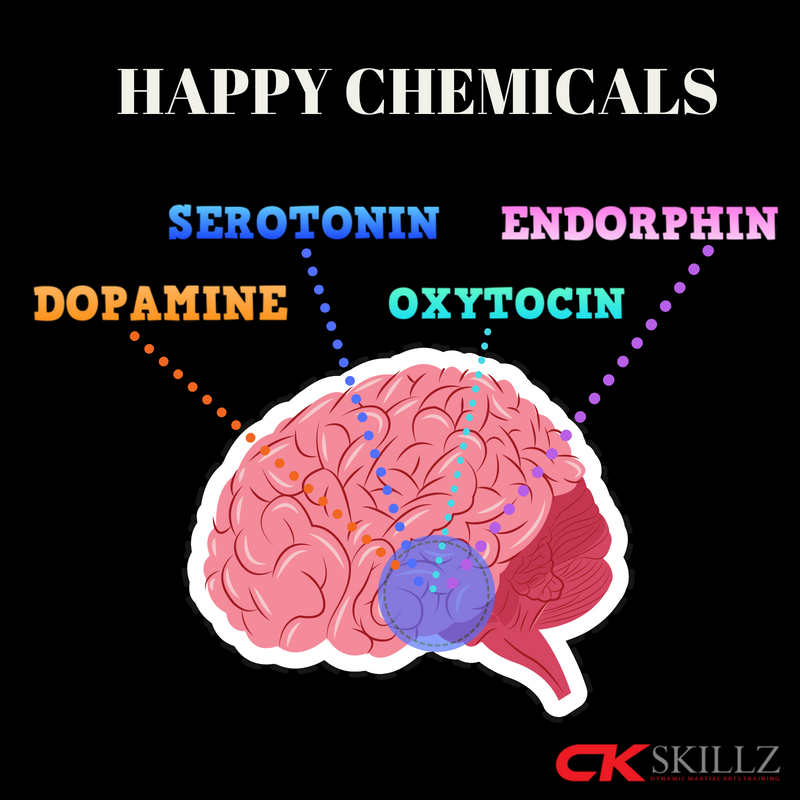 Consistently having a lack of oxytocin can create negative effects on the brain which is why at CK SKILLZ we provide the best in mentors, coaches, and the development of positive friendships. This will also help them develop the courage to step outside of their comfort zone and be more comfortable in stressful situations. Have you ever noticed your ninja was “moody”? Most likely, and while being in the midst of the summer to school transition this may happen more often. This is because they are having to figure out how to balance all the challenges of the new year. What if you could help set them up to manage these emotions? You can! Serotonin is the neurotransmitter that is responsible for maintaining mood balance, as well as, social behavior, appetite, and memory. It is easily triggered by exercise and remembering joyous events, all of which are integral parts of every martial arts class. Finally, after sitting all day in a new environment, coming to their martial arts class and getting moving again with a good workout is going to trigger the release of endorphins in their system. This means that they will be feeling more energized, motivated and in control at the end of class. Another key benefit of increased Endorphins is that sleep quality will increase. With a new, most likely earlier wake up time, increased sleep quality will do wonders for our ninjas. As with all things in life, balance is the key! Not only do we strive to create a fun and safe environment to promote a physical balance but we also use our SKILLZ curriculum and the science & psychology behind every class planner and drill to keep their brains balanced as well. All of this is to reach our end goal of helping every ninja become the best version of themselves!